What is a Subscription Service? Subscription service is a critical component of your software investment. Very few companies or individuals who buy software do so without the subscription package that suits them best. CAD MicroSolutions customizes subscription services programs to meet the customers unique requirements. While your subscription package is in place you are guaranteed an upgrade path to each new version of the software. Subscription service also includes full access to a host of resources made available from CAD Micro including certified engineers, on-site services, telephone support, online training videos, upgrade training, local events, access to webinar’s sessions plus many others. Speak with our Subscription Services Manager or your Account Manager for more information. 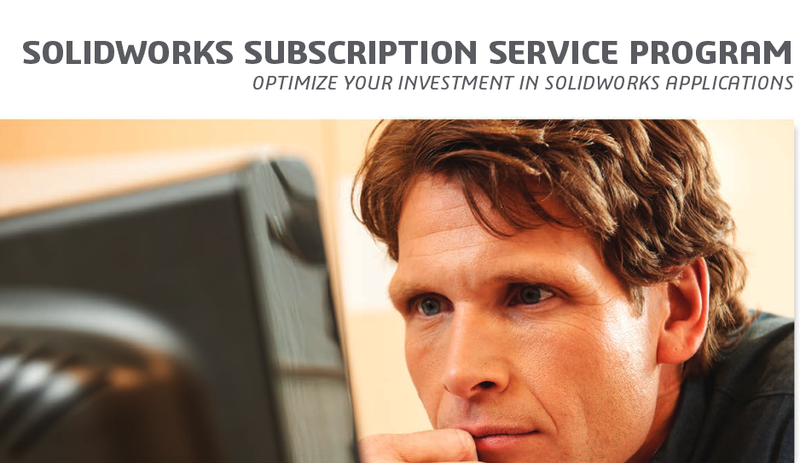 The Subscription Service Program allows you to access all major SolidWorks version upgrades and service packs, live and ongoing technical support, and comprehensive online resources. 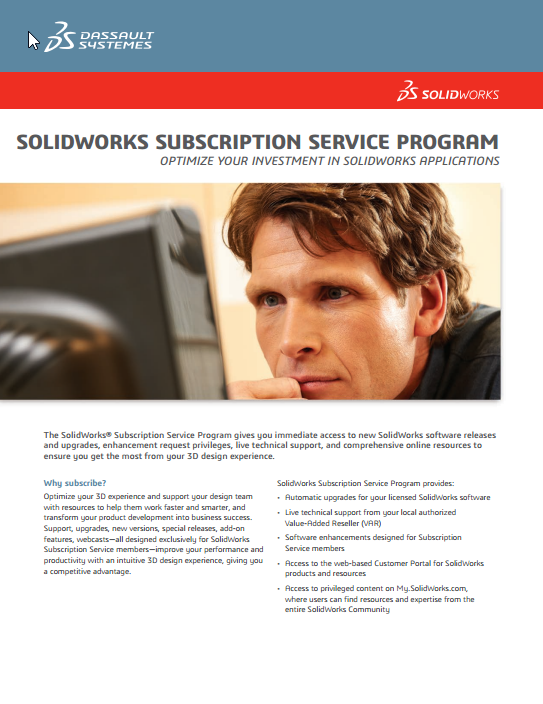 There are exceptional benefits of using SolidWorks Subscription Services. 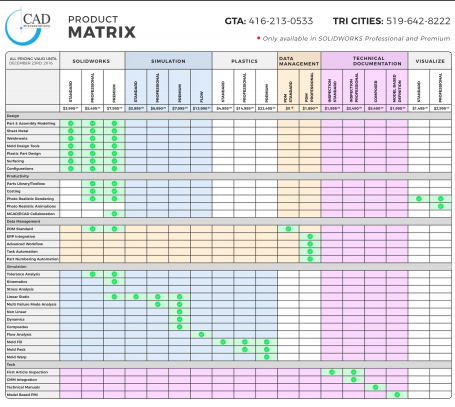 Listed below, are some of the powerful features that SOLIDWORKS Subscription Services Professional users benefit from. With the addition of standard part libraries, utilities that will search for design errors, fasteners and tools that will automatically estimate your manufacturing costs, the capabilities are endless. If you would like to know more or have any questions, please use the box below. SolidWorks provides the tools that allow your design team to Design Without Limits. The SolidWorks Subscription Service Program enables you to focus on what matters most—designing better products. Subscription Services keeps your software updated, so your products spends less time in the design process and get to the market sooner. 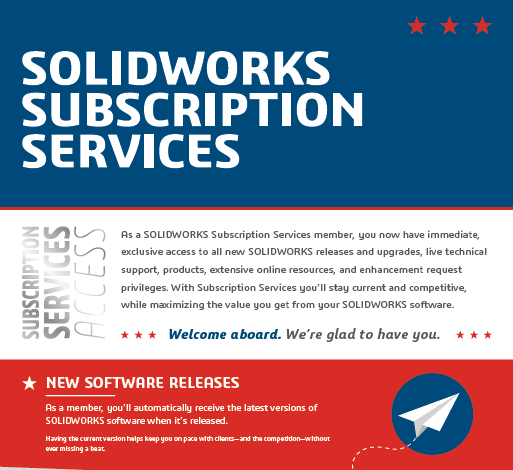 As a Subscription Service Customer, you receive full access to all SolidWorks version upgrades, comprehensive technical support from CAD MicroSolutions and added benefits such as complimentary upgrade training, CSWP credits, additional training discounts, as well as the ability to request software enhancements that influence the software design. You also gain access to the SolidWorks Customer Portal—a web-based hub for SolidWorks resources. 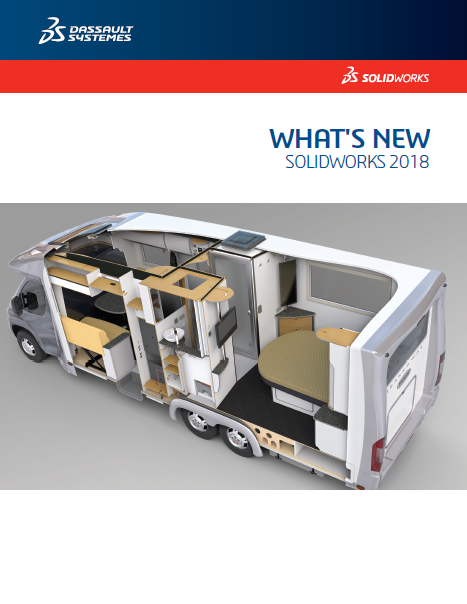 Receive new versions of SolidWorks software to further improve your performance and productivity, leverage innovative tools and leading-edge techniques to create designs faster and more accurately. Download service pack upgrades of the most current version of SolidWorks software, with enhancements that address important issues reported by customers. 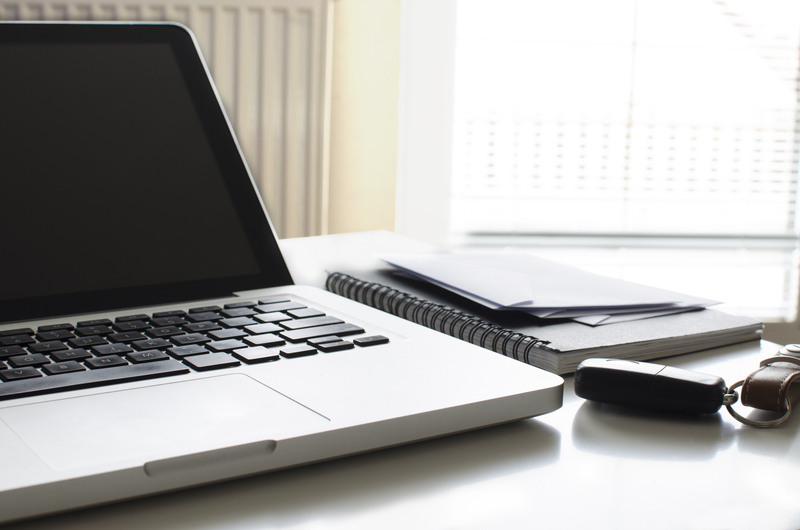 Online Ticketing System – submit support queries directly using Kayako and one of our application specialist will contact you. Improve your designs with productivity tips and tricks, coaching, best practices. Service Requests (SRs) – Submit incident reports to technical support for prompt resolution. View status updates using assigned SR tracking numbers. Software Performance Reports (SPRs) – Submit incident reports of confirmed software issues to our development team. View status updates using assigned SPR tracking numbers and monitor issue resolution in documented service packs. Knowledge base – Find answers to all your questions quickly and conveniently. Access a powerful search engine to search an extensive library of technical documentation, such as Solutions, Help Topics, Tech Tips, and Best Practices. Enhancement requests – Influence the development of future SolidWorks products by providing input on your specific functionality requirements. Based on these enhancement requests, new functionality and enhancements are introduced with each new software release. Technical Content – Access all our archives, from webcasts and Tech Tips to administrative guides and technical presentations. Discussion Forums – Connect with other members of the SolidWorks Community. Participate in a broad range of discussion topics on virtually all facets of SolidWorks software and design development applications. The CSWP (Certified SolidWorks Professional) and CSWA (Certified SolidWorks Associate) exams measure user proficiency— enabling managers to highlight areas that could require additional training. If you’re a current subscription customer, you will be allowed to take a CSWA or CSWP certification as well as one of the specialty exams for free! Engineering and Fabricating Complex Architectural Forms With SOLIDWORKS Solutions. Bringing Integrated Plant Design To Minerals Processing Projects With SOLIDWORKS. Managing Creation of the World’s Largest Telescope With SOLIDWORKS Enterprise PDM.